Ayrshire, by Top Photographer and Documentary maker Christian Hafer. Scotland is full of golf is like saying the sun is hot but still I said it. By my count nearly 600 courses dot the landscape from small nine holers in Edinburgh to 18 holes perched on the northern most outcropping of land in Shetland. Few places in Scotland can boast the quality of golf in such a small space as that of Ayrshire. With nearly 50, yes 50, courses to pick from and with the longest drive from the two courses furthest away only being an hour you’d be hard pressed to fit in more golf than Ayrshire. Then you have the option of taking a ferry to the Island of Arran to play golf and stay within an easy day trip of your hotel. Royal Troon, Prestwick, Western Gailes, Turnberry are all the power players in the region. Prestwick the home of the Open Championship and one of the most quirky, fun filled and challenging courses you’ll ever play. It boggles the mind that in the mid 1800’s 8 men could play 36 with lunch in the amount of time it takes most Americans to play 18. And shoot near par with hickories. Blind shots, walls, wind, BUNKERS and some of the most incredible ground movement I’ve ever seen on a course. Did I also mention the bunkers? They are a sight to be seen like on 17 the famous Alps hole. Unchanged since it was “made” (found?) 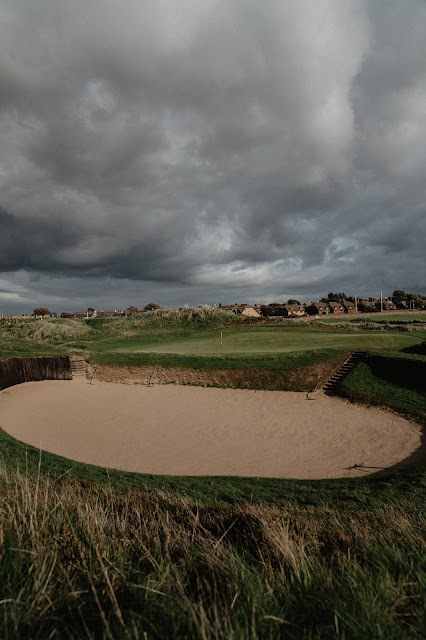 by Old Tom Morris where you tee off over the Cardinal bunker to a narrow fairway. Let the record show that Cardinal bunker is the most expansive I’ve ever seen. Your second at the Alps shot must cover a massive hill to a blind punchbowl green protected by the massively deep and angry Sahara bunker. This is the oldest hole in Open Championship history and largely unchanged since the first playing. While Prestwick has the quirk Royal Troon has the pedigree. 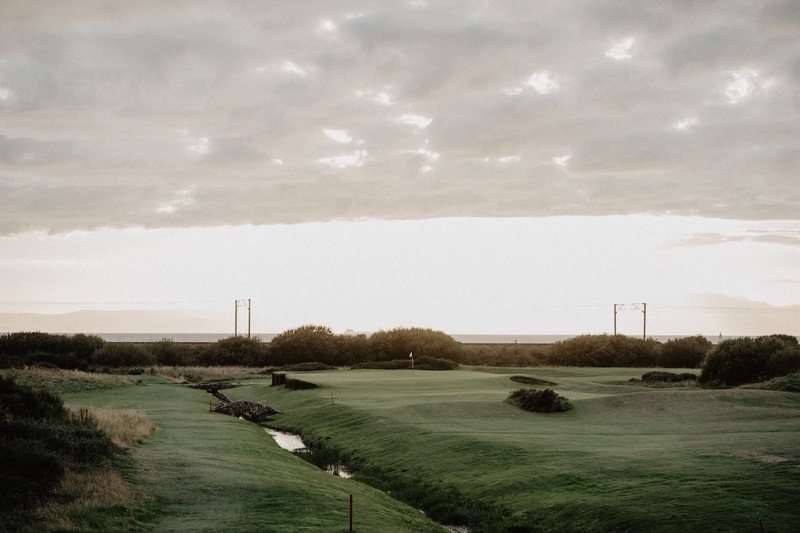 It’s a stout Open Rota links course with a classic seaside links routing and immaculate conditioning. However, places like Western Gailes fly way under the radar. I was the only one in my group that knew anything about it when we turned up. As the recommendations proved it to be it would end up one of our favorite courses of the entire trip. 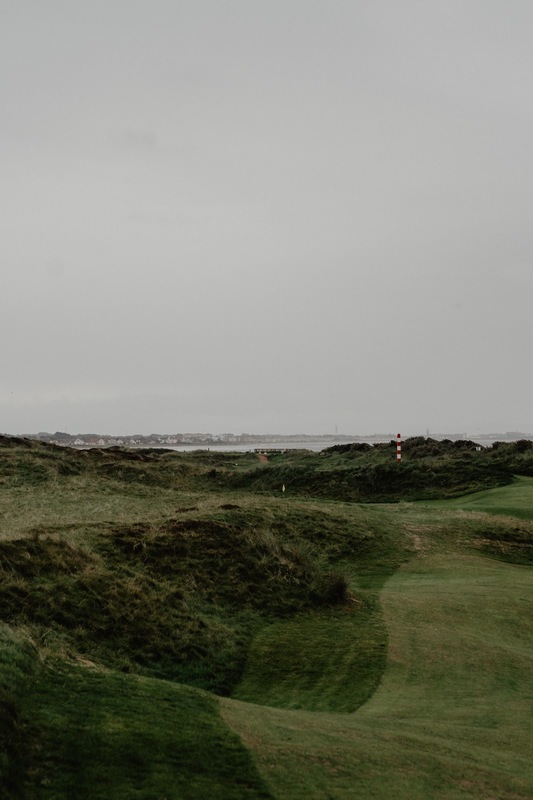 The out and back routing and mix of quirk and refined links set the stage for a memorable round. The 6th hole at Western may be one of my all time favorite holes. A Par five that narrows as you approach a “neck” in the fairway that obscures the view of the green. The position off the tee and on your approach is critical to attack the large sloping green. Partially blind I decided the prudent play was a 100 yard putter with the AutoCorrect which ended up rather favorable. Or at least better than my wedge would have. The staff and members at Gailes are extremely welcoming and accommodating. We played as five with some friends joining us for the walk on the back. 10/10 would play again. The east gets the acclaim most times in reference to golfing around Scotland. The highlands are discussed in a sort of magical lore but the Western Coast is the perfect way to start or end a trip. We all know you’re going to journey to Fife - as well you should. But don’t overlook the rich history, value and amazing golf in such a small area as Ayrshire. The weather can be amazing in fact we only saw rain for about 9 holes. The sort of rain that was more a mist than anything for most of it. And golf is largely played year round in this part of Scotland making it extremely affordable during the off season. 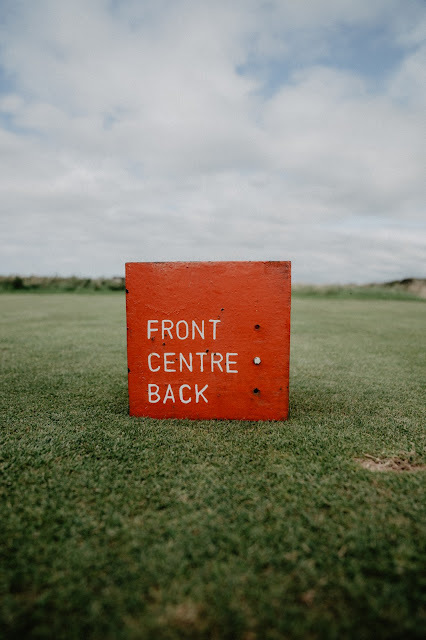 If you’d like to learn more about the area, golf courses and where to stay I’d recommend visiting Ayrshire Golf Scotland website to get a lay of the land. As always you can shoot me a note and I’d be happy to answer any questions as best I can. The location where the Open Championship was born. Right across the street is now a Pharmacy that used to be Old Tom’s home. For fun ask anyone if they know that fact…. WHATEVER YOU DO JUST GO. GET TO SCOTLAND. AS SOON AS YOU CAN. 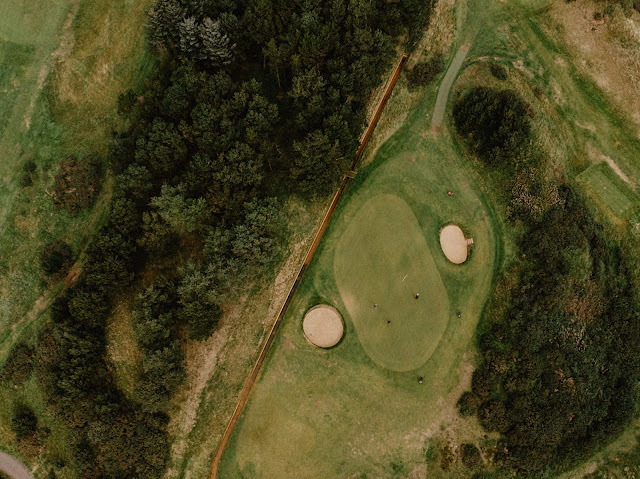 Scotland is The Home of Golf and we invited film maker Erik Anders Lang along to make the most epic series to date. Playing over 24 courses in 16 days throughout the whole of Scotland! Exhausting just thinking about it! The guys played courses in Ayrshire, East Lothian, Fife, Angus, Aberdeenshire, The Highlands and Perthshire on this mammoth golf trip. Erik had this to say "Filled with emotion to share the news that we are going to Scotland to represent the Home of Golf. A two week trip around the magical home of Braveheart is something i've wanted to do for years. It's my favourite place on earth"
Well Erik you did not disappoint, Erik's vlogs are now live on his YouTube page and will be filling you with content until many weeks to come.